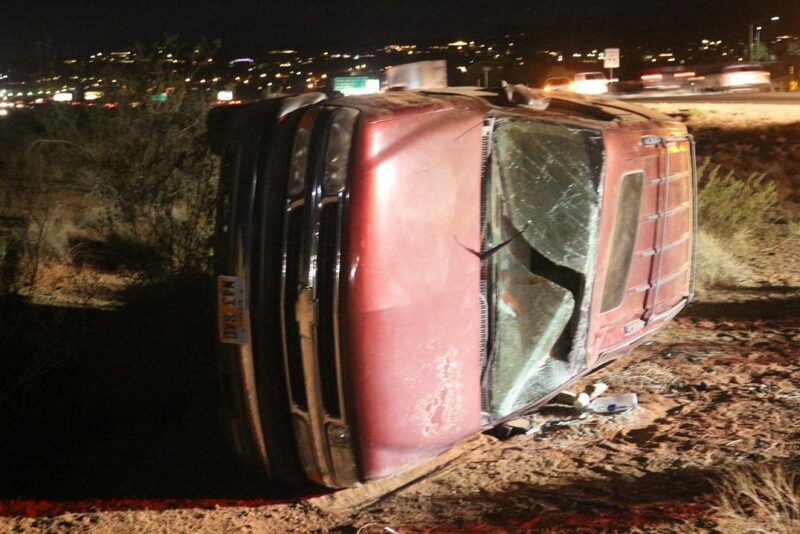 WASHINGTON CITY — Heavy southbound traffic on Interstate 15 was temporarily backed up Wednesday evening due to a rollover near Exit 13. 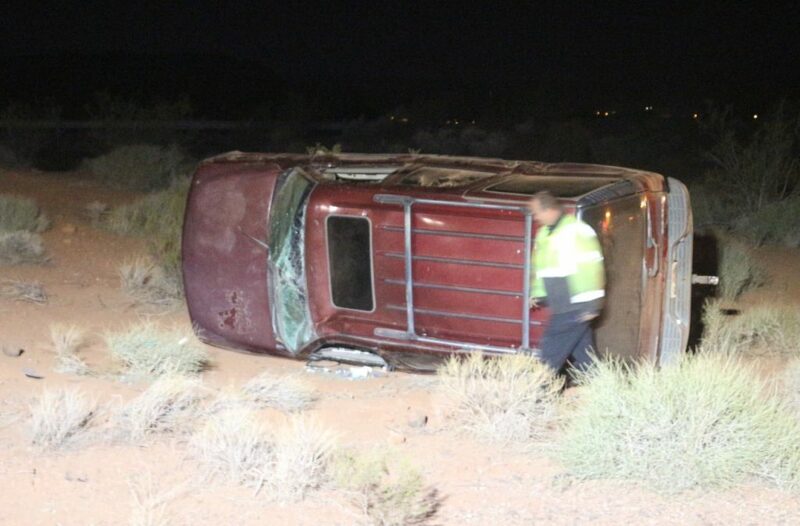 The Utah Highway Patrol responded to the report of a two-vehicle collision around 6 p.m. just south of the Washington Parkway/Exit 13 interchange on I-15 near milepost 12. While that collision was characterized as a “rear-ender” that was able to be pulled off the highway, UHP trooper Austin Ipson said, traffic slowing for that collision triggered a second crash in the same area. The driver of a southbound SUV began to apply his brakes as traffic ahead of him slowed, but then “his brakes locked up and he ran off the road to the left and rolled,” Ipson said. 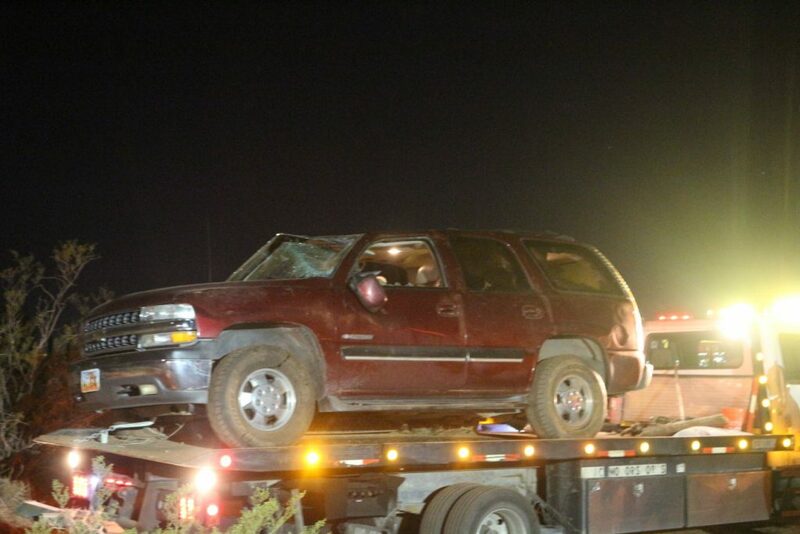 The SUV driver, an adult male, was uninjured. No one was harmed in the first crash either, Ipson said. Traffic on I-15 had been heavy most of the day due to holiday traffic. Traffic between Exits 10 and 16 became congested during the afternoon as people got on the highway from those locations, he said. “It got pretty soupy at times,” Ispon said. Southbound traffic was backed up beyond Exit 16 while the UHP and Utah Department of Transportation responded to the crashes. Traffic, though still congested, began to move at a steady pace around 7 p.m. once the crash scene was cleared. Elsewhere in Southern Utah, a crash was reported on southbound I-15 north of Parowan at milepost 83 that reduced traffic to a single lane at the time.